Sandra Crozier-McKee is an accomplished C-suite executive with a proven track record achieving exceptional results in business, finance, education, food service, media and recreation. 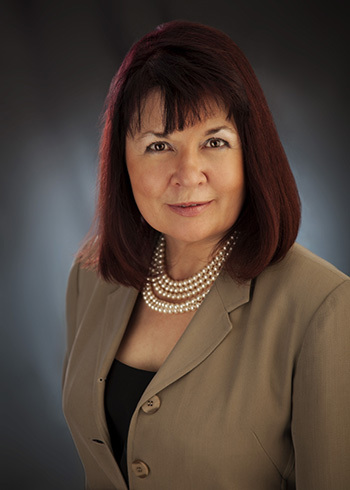 Although she has a degree from the University of Western Ontario and a teaching certification from the University of Calgary, her true education is gleaned from 30 years of hands-on experience conceiving, developing and executing on strategies and initiatives while leading teams through tumultuous times in both the for-profit and not-for-profit sectors. Responding to the lack of professional advisors possessing “insider knowledge” about operating a business day to day, Sandra Crozier-McKee resigned as President and CEO of the BBB to start “Western Master Business Mechanics Inc.” to provide business leaders and owners with a professional team of advisors possessing “insider knowledge” and front-line experience operating a business day to day. They design practical plans and goals, train self-managed high functioning teams, and set realistic implementation targets that work. Now that recreational marijuana is legal in Canada, organizations need to be cannabis-literate. Crozier-McKee is a proactive innovator responding nimbly to changes in government legislation impacting how Canadians do business on both sides of the border and she is well positioned to guide you through the ever-changing landscape of cannabis related legislation and policies affecting your workplace. She is member of the Canadian Cannabis Chamber of Commerce, CCOHS certified in “Cannabis in the Workplace” and backed by extensive reliable research and experience and is recognized for her expertise. Sandra Crozier-McKee is the person who can help you navigate the impact the legalization of recreational cannabis on your employees and operations. This presentation delves into the essential actions leaders and organizations must take ensure their policies meet the required standards under the relevant legislation. This presentation is constantly evolving and updated to provide the latest information available in the area where your business is located. The workshop is based around “The One Thing” by Gary Keller. The “someday” goal is to complete the Workshop Drug and Alcohol policy, obtain approval, and introduce it into the workplace. There are many stages to be completed but, in this workshop, we will work together to identify the first step in the journey towards the goal. Each participant will leave with an action plan relevant to their workplace and the commitment to complete that step in an established time frame. As a conscientious employer the urgency to reduce risk to your employees and your organization can be mitigated by taking action now. In this workshop you will create a step-by-step plan that you and your team can follow immediately, and in the future. Have a clear understanding of relevant legislation at all levels of government. Recognize impairment in its many forms. Pinpoint the “must haves” of a basic policy and the key elements to cover when analyzing job demands related to accommodation. Identify the 7 items that must be covered in employee and leadership education. Construct a blueprint with action items and established time frames for implementation. "The upcoming cannabis legislation, and how it affects workplace policy, is a very complicated and frightening prospect for many of our members. Sandra and her team at Western Business Mechanics have been so helpful at guiding myself, and our nationwide membership, through the labyrinth of options and considerations that this legislation is going impose. Sandra has helped CAM understand the challenges we are going to face as our members and their employees go about their daily business travelling province-to-province. We feel confident with the information we are being provided, as Western Business Mechanics is on the ball about every nuance that this life changing legislation is going to entail." "I attended a recent Calgary Real Estate Association (CRRA) event where Sandra was the keynote speaker on the timely topic of cannabis legislation. Her presentation was interesting and comprehensive. She did an excellent job of informing employers of the ways in which the new legislation will impact them." "Sandra Crozier-McKee was the Keynote Speaker at the Calgary Residential Rental Association’s May 17th luncheon and her presentation was entitled, “Cannabis in the Workplace: What Employers Need to Know & How It Will Impact Your Business.” Sandra presented to 157 of our members and her presentation was insightful, informative, engaging and the feedback we received from our members was very positive! I would recommend Sandra’s services for any company who is seeking clarity regarding on how cannabis will impact employers and the workplace." "Sandra Crozier-McGee is an excellent speaker who combines her well prepared presentation on the details of cannabis along with her impressive business background... definitely some to listen to." "I had the privilege of meeting Sandra Crozier-McKee recently as we were speaking at a mutual seminar. I sat in on her “Cannabis in the Workplace” presentation it was very informative for the up and coming changes to the workplace environment. Sandra is not only knowledgeable but she is fun and a pleasure to watch. I definitely recommend having Sandra and WMBM present to your organisation to ensure your business is ready for the changes coming with the legalisation of Cannabis. I hope to have the opportunity to work with her again."